The lake, which is located about 400 kilometres from Moscow, is an ideal place to get away from the hectic city, relax in nature, and regain spiritual balance. 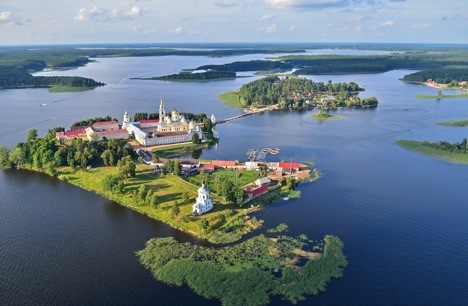 Nestled between the Tver and Novgorod regions, Lake Seliger – one of the largest lakes in Russia – was formed by a glacier. Its total area comprises 260 square kilometres, but its coastline is more than 500 km long. By train: from Leningradsky station. Ticket price roughly 1100 rubles. By car: Moscow – St. Petersburg route via the Baltic Highway (through Volokolamsk – Shakhovskaya – Zubtsov – Rzhev – Selizharovo – Ostashkov) or Moscow – Riga route via the Leningrad Highway (through Tver, Torzhok, Kuvshinovo – Ostashkov). Ostashkov is the central city of the region and can be reached from Moscow by overnight train, but it is certainly more interesting to travel by car. There are several routes, so you can choose the optimal one for yourself: by the Baltic Highway (through Volokolamsk – Shakhovskaya – Zubtsov – Rzhev – Selizharovo) or by the Leningrad Highway (through Tver, Torzhok, Kuvshinovo). Time spent on the road, which is about five hours not including Moscow traffic, passes surprisingly quickly. In any case, whichever route you choose to travel on, every city you pass through will have something interesting to explore. The majestic Volga River is particularly striking, which you can admire from the Rzhev region. Upon reaching Ostashkov, you should know whether you would like to stay in the city itself or if you would find it more interesting to stay outside the city. In this respect, there is a wide choice: you can spend the night in a hotel or a pension, rent a house or camp on the lakeside. If you are travelling with a large group, it may be more comfortable to rent a house or, if you are adventurous, live in a tent (then you will be able to enjoy nature and the beauty of the surroundings). Ostashkov’s history originates in the 14th century. You’ll find old architectural structures, which include strikingly beautiful manors, native Russian wooden houses decorated with multicoloured tiles, old churches, and even a theatre, one of the first in the Russian empire open to the general public.